Netizen slam organizers of the event of the 10th-year Filipino Heritage Night in San Francisco, California. Following to a winning moment of Golden State Warriors (GSW) against the visiting Phoenix Suns. It was the 10th year of the Golden State Warriors Filipino Heritage Night presented by Tanduay Rum, were they launched a "Sharp Sunday Line-Up". 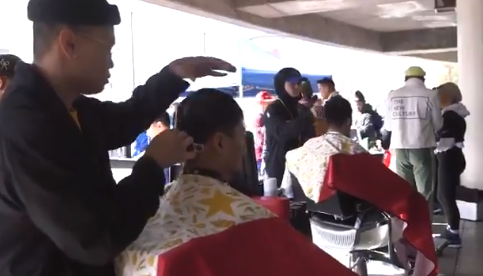 Barbers from the National Filipino Barbers Association (NFBA) participated the event that offers a free haircuts to mostly Filipino Warriors fans at the Oracle arena plaza area. 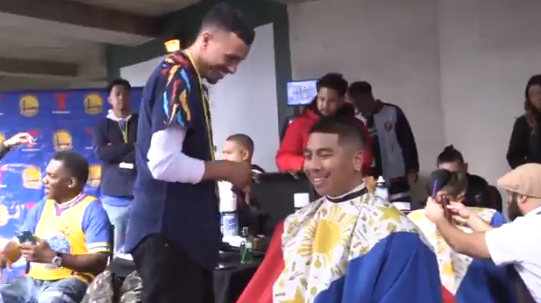 It was one of the main features before the game starts, however, these was criticized when the video that surface shows a barber's cape that was designed similar to the Philippine flag. @Harper: I appreciate the patriotism but I'm not a big fan of using the flag as a barber's cape. 6. As trademarks or for industrial, commercial or agricultural labels or designs. 4. In discotheques, cockpits, night and day clubs, casinos, gambling joints and places of vice or where frivolity prevails. h. To display in public any foreign flag, except in embassies and other diplomatic establishments, and in offices of international organizations.